The ultimate in privacy and sheer luxury, the residential offerings at Lake Las Vegas Resort provide some of the most unique and distinctive features and amenities available in a world-class resort setting. Whether you are looking for an elegant waterfront Estate Home, a supremely private hilltop Mansion with a picturesque panoramic view, or a low-maintenance luxury vacation home ready for your frequent R&R visits, Lake Las Vegas is sure to have something that will exceed your every expectation. atop a hill with magnificent views. Behind the stately 24-hour guard gate, awaits another side of Las Vegas. A private world-class resort-style Yacht & Beach Club, mansions seemingly cut from the side of a mountain, and a limited collection of the only lake-front properties in all of Southern Nevada. SouthShore is the most coveted address in Las Vegas. Sculpted along the graceful curves of world-class championship golf courses, NorthShore is the newest and most dynamic residential area in Lake Las Vegas. With expanding growth over the past five years, NorthShore lifestyle is among the most privileged in the valley. With more than 50 model homes, Lake Las Vegas offers some of the most distinct architecture in the Las Vegas valley. Award-winning designs abound in the community, complemented by the best amenity package in the city. Prices start from the $400,000s. Build your dream home exactly as you want in Las Vegas' premier master-planned community. Imagine dessert with friends out on your private patio, mere steps from a colorfully quaint, cobble-stoned village. Or, walking down a short flight of stairs for your morning Cafe' Americano. Or, taking a relaxing sunset swim in one of five hilltop pools overlooking a surreally clear lake. Amenities are King (& Queen!) at the Beverly Hills of Las Vegas. In order for us to help you most efficiently, please provide all requested information below. * Denotes a required field. RESPONSE IN 30 MIN OR LESS, GUARANTEED! 30-minute response guaranteed during normal business hours. "We couldn't believe our eyes when we first visited Lake Las Vegas. We never imagined something so beautiful in all of Southern Nevada. It feels like we live on vacation every day. 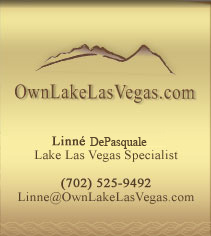 We truly love living the Lake Las Vegas life!" There are currently 11 new home communities in Lake Las Vegas, with more than 50 floor plans from which to choose. View your dream home today! The hillside community of Vizion overlooks the lake, nearby fairways, surrounding mountains, and MonteLago Village. With its own La Casa di Agio Clubhouse, Vizion's amenities are top-notch. Three innovative floor plans, ranging from 1,297 to 1,655 sq. ft.
measuring between 1,350 & 2,026 sq. ft.
Della is a new community of hilltop estate homes built with breathtaking views of The Falls Golf Course, The MonteLago Village, and the worldfamous Las Vegas Strip. Five luxurious floor plans with 1,234 to 2,345 sq. ft.
are sure to peak your interest!